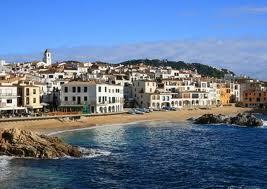 Located in the heart of the Empordà, Begur and its beaches form one of the most wonderful places of the Costa Brava. 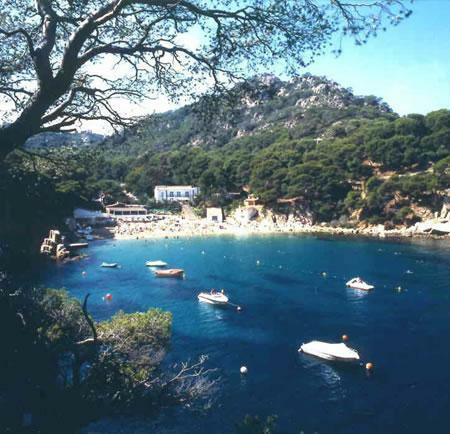 Both the historic center and the small Romanesque area of Esclanyà or the eight coves and small beaches that belong to Begur, form an incomparable set and landscape environment. 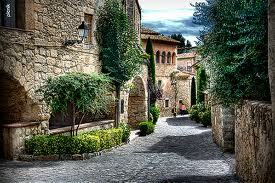 The town of Peratallada is between the hilly area of Gavarres and the lands of the Baix Empordà. The village, declared historic-artistic and cultural asset of national interest, is one of the most important Catalonian places in terms of medieval architecture. In an extraordinary appeal and beautifulness, it preserves its old feudal aspect, with narrow and tortuous streets, such as numerous inlets and outlets, highlighting the fortified castle with its Homenatge tower and the palace (11th-14th centuries), the walls (12th-13th centuries) and the Saint Stephen church (Romanesque, early 13th century). The great moat carved in the rock, that is also outstanding, surrounds the town. The whole town is sitting on its rock of sandstone, worked in various ways. 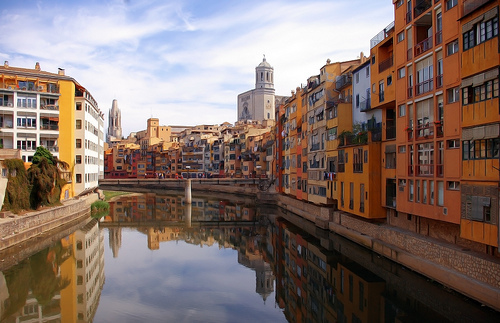 Girona is one of the Catalonian cities with most personality, with a very important historic past and admirable historical monuments. Walking around Girona is already a large discovery, with large and small spots to get lost and admire the remains of that past: from Romanesque to Gothic, from the Jewish to Muslim communities. The Call, the old Jewish neighborhood, still preserves the magic narrow and crossed streets and coexists with the Cathedral (14th-16th centuries) –a spectacular building with the widest Gothic nave in the world, the Arab Baths, the Romanesque monastery of Sant Pere de Galligants, or the Collegiate Church of Sant Feliu. A seaside town with a Gothic center, declared Historic-Artistic National Grouping, and cobbled streets with noble houses on each side, where visitors can get lost. 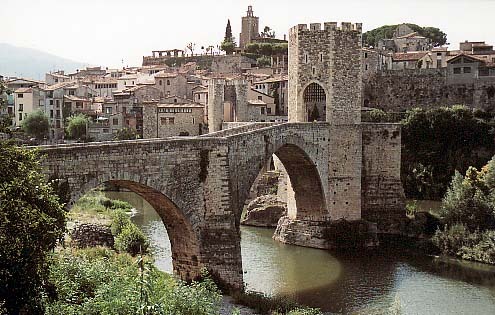 It is located at the Baix Empordà region and very close to other charming villages as Palau-Sator, Peratallada, or Begur. This city was declared Historic-Artistic National Grouping in 1966 for its great architectural value, especially characterized by its Romanesque bridge and its Jewish past. It is a town of Garrotxa and enjoys a good communication thanks to being in the intersection of 3 regions: Alt Empordà, Pla de l’Estany and La Garrotxa. Located at the foot of the Costa Brava, it is one of the most important archeological sites in Catalonia. 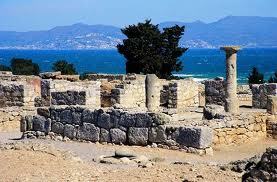 Known as ancient ports, the Greek cities (Emporion) and Roman (Emporiae) were gateway to classical cultures of the Iberian Peninsula: the preserved remains are a privilege witness of this. Port de la Selva is a Catalan municipality located at the most NE to the Alt Empordà region. Within this environment, we can observe richness of landscapes which combines with the blue of the Mediterranean, the green of vineyard, and, rising to the sea, sculpted mountains with the passage of time, and awesome peaks of heights. The village is dominated by the Benedict monastery of Sant Pere de Rodes, dating from 11th and 12th centuries, from which it is possible to see an exceptional view of the bay of Llançà, sited in The Cap de Creus. That town has a sheer coastline, resulting from the erosion of sea and wind, with abundant river valleys flooded by the sea, which cause an articulated coast with picturesque coves, high capes and rough headlands, and several islands. 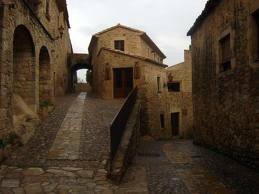 The town stands on a little hill in the heart of the Alt Empordà. The historic nature of Peralada is reflected in every step. 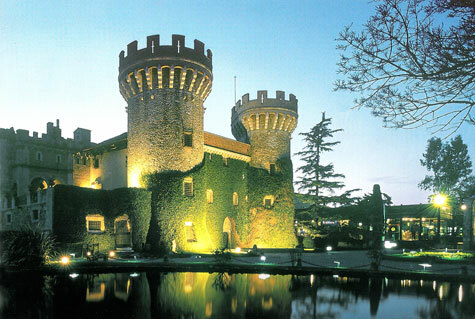 Its narrow streets, the museums, the Sant Doménec cloister and the amazing casino-castle with its gardens, give it a unique and exclusive look. 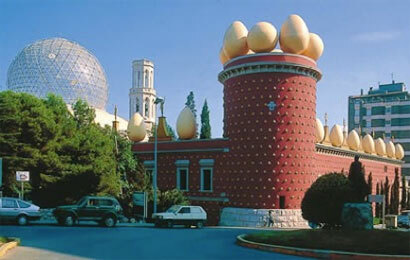 The great artist Salvador Dalí is the driving force of the Dalí triangle composed by: the Theatre Museum in Figueres, that the artist decided to install at the old Municipal Theatre of Figueres, where we can see the widest range of works by Salvador Dalí, from his earliest artistic experiences and his surrealist creations to the works of the last years of his life; the House-Museum in Portlligat, located in Cadaqués, which was the only stable home of the artist, where he lived and worked until the death of Gala, in 1982, when he took up his residence at the Gala Dalí Castle in Púbol, space that the artist turned into a mausoleum for his muse. 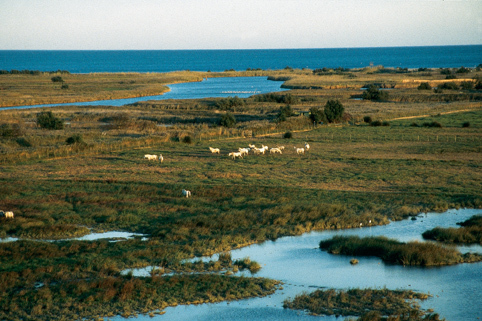 In San Pedro Pescador there is the second largest wetland in Catalonia, after the Ebro Delta, covering an approximate area of 4,730 ha, of which approximately 825 are integral natural reserves. Its great variety of fauna and flora is very important, formed by a group of ponds, paddocks and floodplains at the confluence of the rivers Muga and Fluvià. This area constitutes a privileged habitat for wildlife, especially water birds. The municipalities of the influence zone of the park are: Armentera, Castelló d’Empúries, L’Escala, Palau-Saverdera Pau, Pedret i Marzà, Peralada, Roses and Sant Pere Pescador.